Many religions have flourished since centuries in Telangana, and one of them is Jainism. 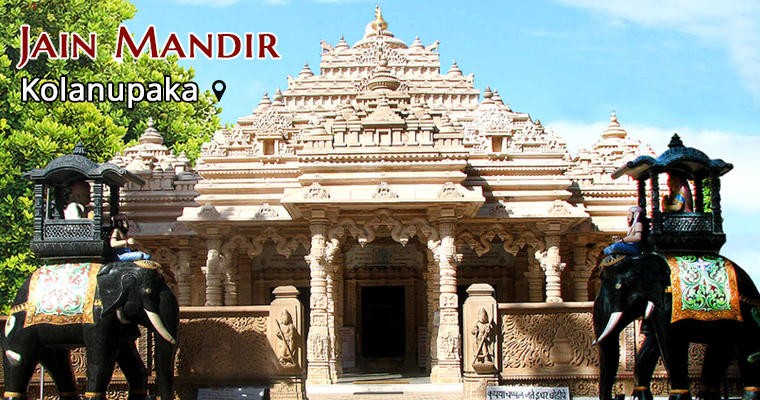 For those who wish to explore the splendor of Jain heritage, then visiting Mahavira Temple offers a memorable experience. Kolanupaka had flourished as a key Jain centre during the period of Rashtrakutas. There are more than 20 Jain inscriptions found at Kolanupaka. There are many other inscriptions which suggest that the region was a major centre for Kranur Gana of the Mula Sangh. There is a manastambha with an inscription dating back to 1125 AD and also a 12th-century inscription found in this temple which mentions that Meghachadra Siddhantadeva had entered sallekhana. There is also mention of Kolanupaka in Vividha Tirtha Kalpa (14th century) of Jinaprabhasuri in the sections as Kulyapak Rishabhadeva Stuti and Kollapakamanikyadeva Tirthakalpa. Mahavira is about 130 centimetres tall and it is believed to have been created from a single piece of jade. There are idols of Lord Simandar Swami and Padmavati Ammavaru which have been installed close to the main temple. The image of Lord Rishabhanatha, carved of a rare jade (green stone) has been historically famous as "Manikyaswami”. Kolanupaka is considered an important place of worship for Jains in the country. Kolanupaka was known by different names in the past like Bimbavatipuram, Kottiyapaka, Kollihaka, Kollipaka and Kolanpak. Kolanupaka is located at a distance of nearly 80 km from Hyderabad on the Hyderabad-Warangal Highway NH 163. Tourists need to take a small deviation from Aler on Hyderabad-Warangal highway. Aler is the nearest railway station, to reach Kolanupaka.